The owner of the domain www.generalinsurance.es offers this service as an external collaborator of Proyectos y Seguros, S.A. Brokerage Insurance with key J0067, pursuant to what is established in art. 8 of Law 26/2006 of July 17, on insurance and reinsurance mediation. If you want to hire any service offered by ALLIANZ Insurance you can call our customer service for a no-obligacion personalized quote with the ALLIANZ Insurance company and with almost any other insurance company that you decide. Call now at 91 756 71 08 and request a free, personalized study in English. If you would like to be contacted by a specialized dealer of ALLIANZ insurance, click on the following link and insert your name, telephone number, select the ALLIANZ insurance in which you are interested and in a few moments a specialized salesperson will contact you to inform you free of charge of the selected service. One of the leading insurance companies in the Spanish insurance market. Develops a global management of private and corporate risks that provide coverage and guarantee advice and prevention to its policyholders. It has more than 2,300 employees, more than 14,000 mediators with vast experience and who are located in different points of the Spanish territory with 148 branches and 8 delegations. It has more than 4 million customers. I am posting 2,897 million euros (2015). Currently, their policies total more than 7 million. The insurance offered ranges from personal and family (life insurance, cars, home, accidents, or health) to multi-risk insurance for companies. Serving always with its values of innovation, quality, efficiency and customer orientation. - Car Insurance: It gives you all the needs that your car needs for its well functioning. - Home insurance: This insurance gives you the peace of mind you need to feel your home and your belongings protected. - Motorbike insurance: For lovers of two-wheeled vehicles it is necessary to have insurance that suits your needs and those of your motorcycle. - Life insurance: To enjoy your life and those of your loved ones with peace of mind. - Retirement: Make the best decisions today for your future. - Medical insurance: Take care of your health and that of your family. - Also insurance for moped, van, health, savings, investment, etc. - Insurance for self-employed: You who are self-employed need to protect themselves against any situation. - Insurance for SMEs: Dedicated to small and medium-sized companies that function as a base for the economic engine of any territory, which in turn offer jobs. An SME is constituted from a natural person called self-employed or have workers who earn wages. They are subdivided into micro-enterprises (if it has up to 9 workers), Small enterprises (if it has between 10 and 49 workers) and medium-sized enterprises (if it has between 50 and 249 workers). - Insurance for Large Enterprises: Large companies are considered by their volume of invoicing, their volume of taxes that pays and their volume in number of workers with that counts. They have their own facilities, their own administration and operation. If you wish to leave your valuation according to your experience with insurance company ALLIANZ Insurance you can rate it from 1 to 5 stars. 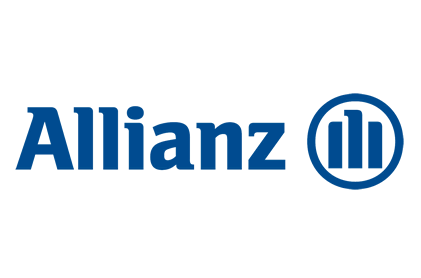 ALLIANZ offers insurance in all Spanish provinces. From www.generalinsurance.es/allianz.html of Grupo Seguros Generales, we are not responsible for the comments, ratings or opinions made by www.generalinsurance.es/allianz.html users about ALLIANZ Seguros, whether positive or negative. We understand that everyone is free to express their opinion as long as it is carried out with education, legality and without failing the truth and experience received. To make a comment on ALLIANZ you must be logged in to Facebook and you will be solely responsible for your opinions and ratings.